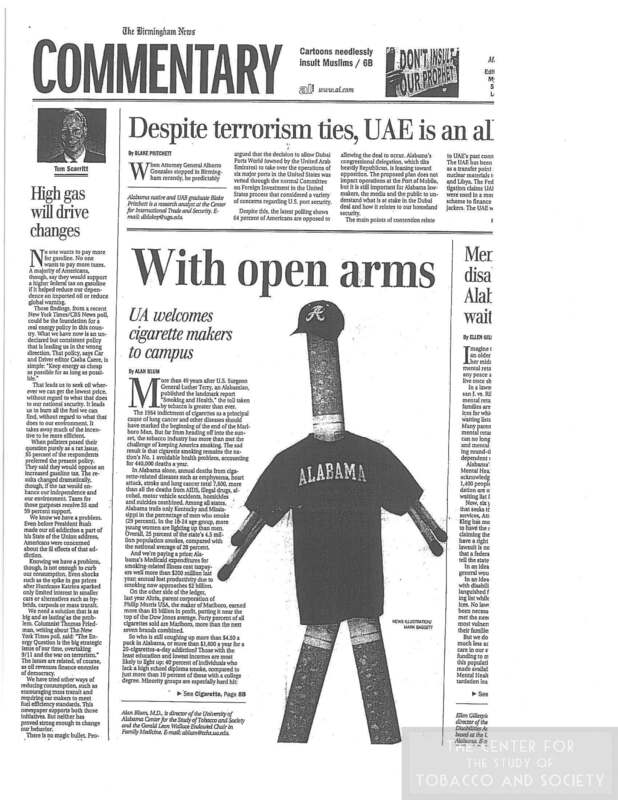 This collection is composed of newspaper headlines from Alabama newspapers and headlines in national newspapers that contain references to Alabama. 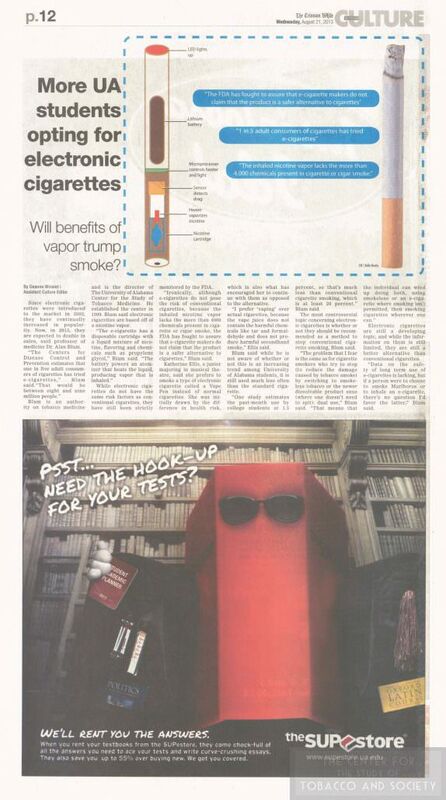 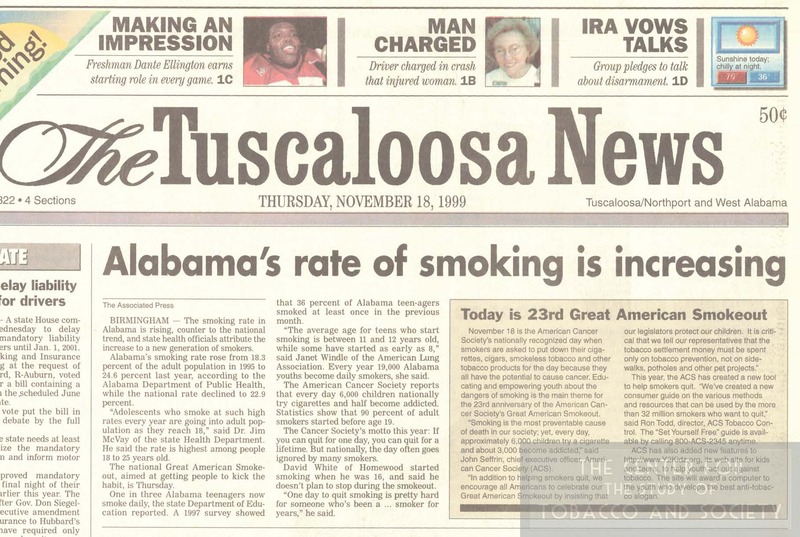 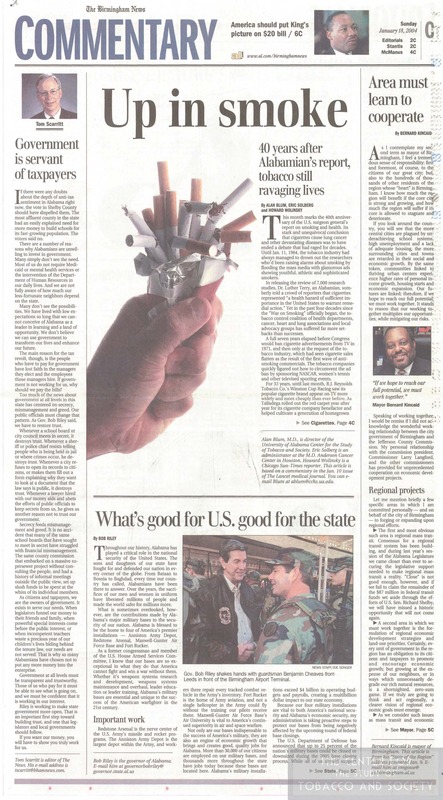 Headlines and articles are about politics in Alabama surrounding tobacco, alcohol and gambling laws; anti-smoking movements and events in Alabama; general health information, health rankings, and health statistics for Alabama; advertisements and photos depicting tobacco and alcohol; and the Winston Cup and other racing events at Talledega Superspeedway. 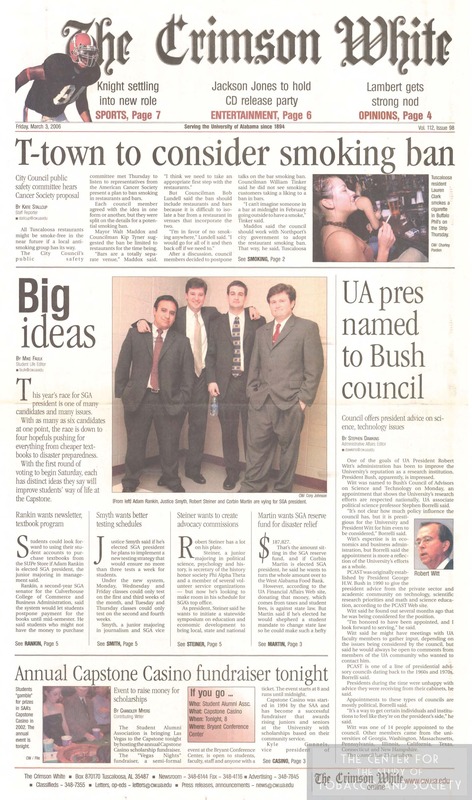 Sources of publications include The Birmingham News, The Tuscaloosa News, The Huntsville Times, The Mobile Register, The Crimson White, and Tuscaloosa Magazine. 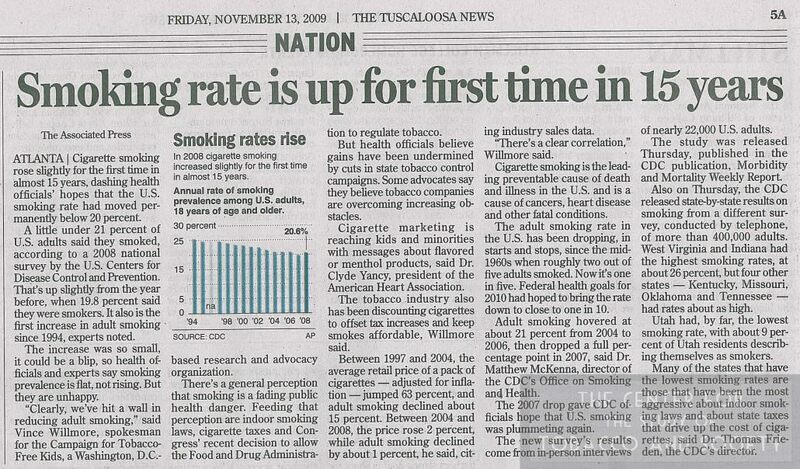 National publications include USA Today, The New York Times, and the Wall Street Journal. 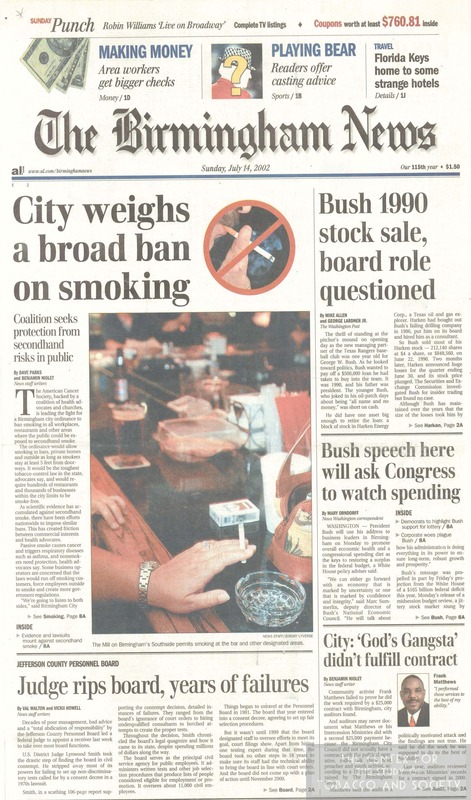 Headlines date from 1987-2012, with most dating from 1998-2012. 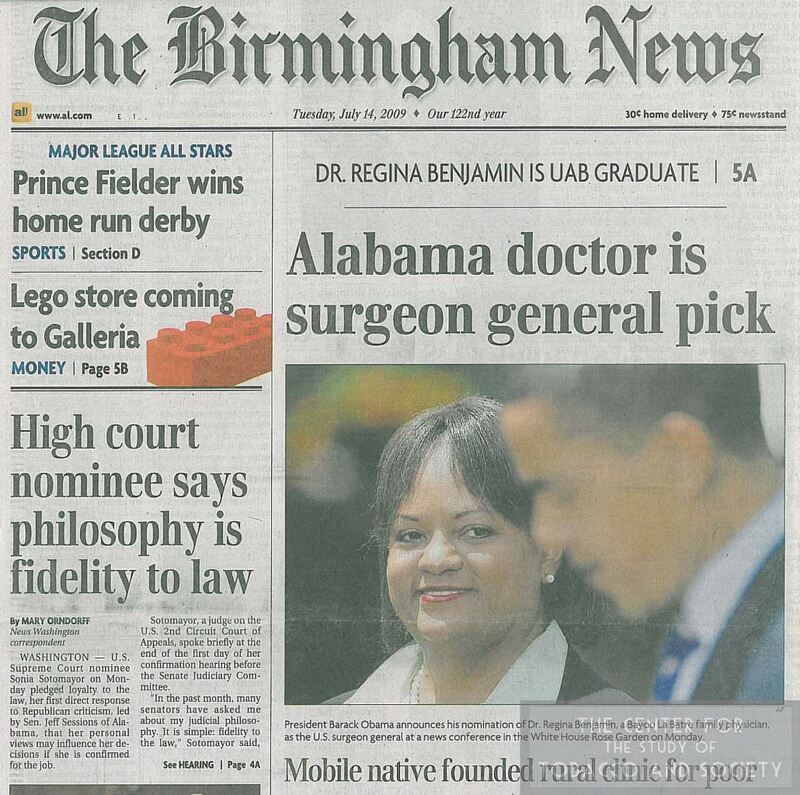 Click here to view a timeline summary of this collection.